I always enjoy finding a new coffee shop with an interesting point of view, a new-to-me local roaster, or a great way of serving a super cup of coffee. That said, many times it’s all about the space. The space. It’s the space that welcomes me and beckons me to come in, sit down, sip and savor. It begs me to return. Not all coffee shops are the same. There are some places that have great coffee, but don’t rank so high in the ambience department. 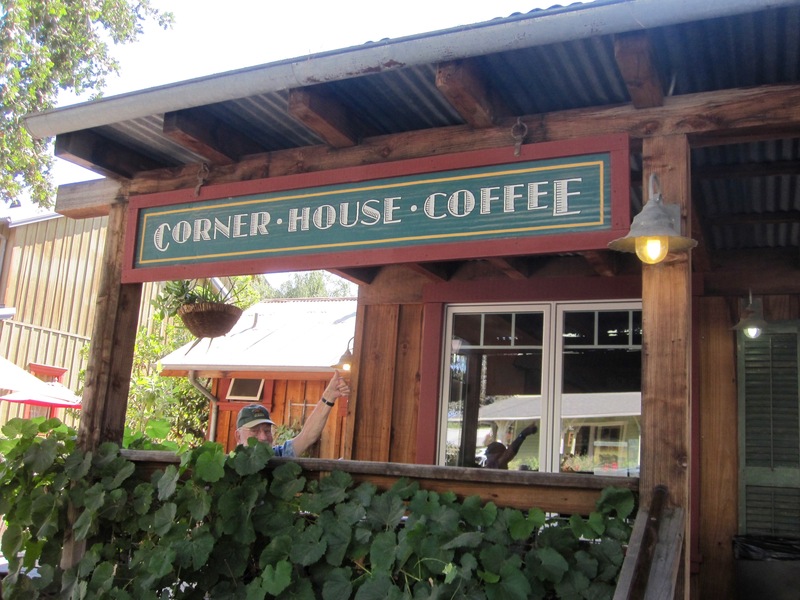 With Corner House Coffee in Los Olivos . . . it’s all about the space. Sure, they serve Peet’s Coffee which is always a fine and dependable offering, but it’s more about the house. On my recent trip to Los Olivos I asked two employees working behind the counter about the house. 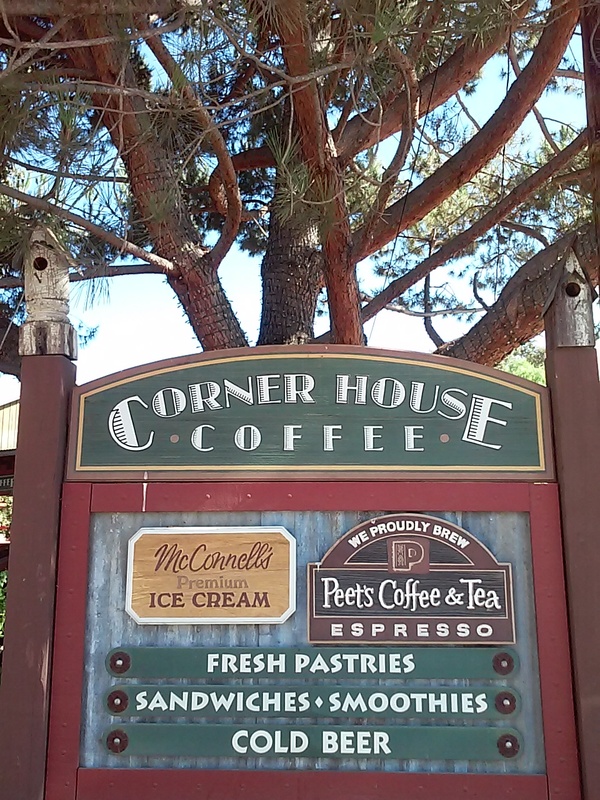 One said, “I know it’s older than me.” I laughed and said, “I know it’s older than me, too.” I found out from the Corner House Coffee facebook page, that CHC is “housed” in one of the first buildings in Los Olivos and dates back to the 1880s. I bet it has some stories to tell. The house has a large wrap-around porch with handsome tables made from thick wood planks and a towering pine tree adds to the yard’s ambience. Folks sit inside and work on their computers with free wifi while motorcyclists stop and chat before heading down the road to visit Fess Parker Winery. Locals gather and chat, planning and comparing their days. It’s the town’s gathering spot. It’s perfect. It’s a perfect space. This is what Helen sent me from her road trip, so when I was on a recent road trip I stopped by. I’ll add that it’s all about the tree, that huge old tree in front. 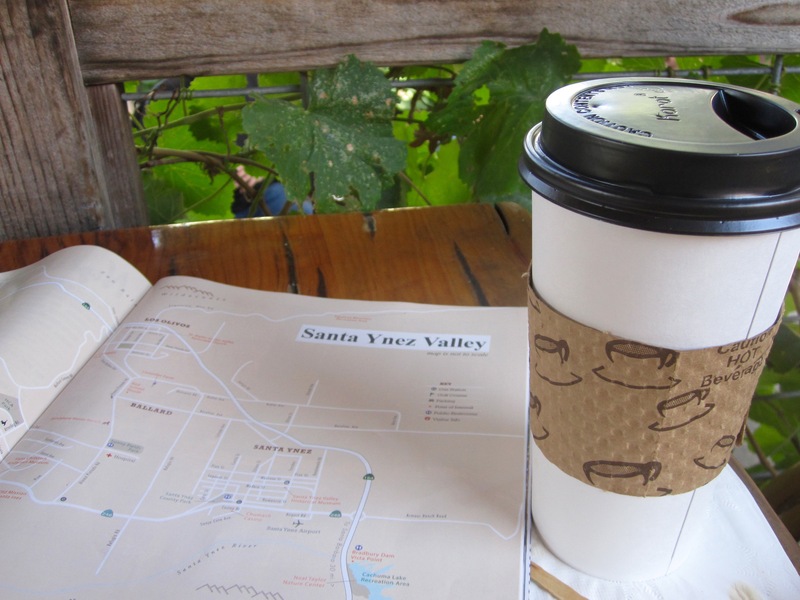 This entry was posted in Los Olivos, Peet's Coffee and tagged road trip coffee. Bookmark the permalink.